Renting a car is sometimes necessary when you are away from home or your car is being repaired. Finding ways to save on the this expense can be very handy. This is a guide about saving money on car rental. We recently needed a rental car while our car was in the shop. I checked the online deals and they were all very high, perhaps because it is summer or perhaps our locale. I remembered that U-Haul advertises $29.95/day rentals. This does not include mileage, so be sure you will not be driving many miles. Your best choices are a large van or a large pickup truck. They are not the easiest to drive, but our total was way less than the bargain car rentals. Also you do not need a large credit card deposit, only the estimate of the actual cost. When you rent a car, figure out how to work everything before you leave the lot. This includes the headlights, heater, air conditioner, windshield wipers, windows, and trunk. If you have questions, you can get answers from the rental agent. If you are also booking a flight and/or hotel look at the cost to add a rental car to your reservation. 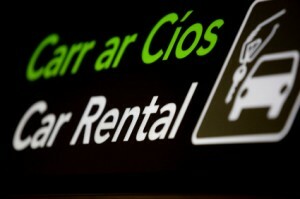 Use the websites for different rental companies to compare prices. Consider whether you really need the car for your whole trip. Maybe you can use another form of transportation for part of the time. Ask whether they offer discounts for AAA, military, AARP, etc. if you are a member. How do I minimize car rental charges and fees? Make sure to check your credit cards. Be sure to use a card that has free rental car insurance so you don't have to pay for their expensive coverage. Always book ahead of time. Stopping at the counter at the airport, and they will gouge you. I just came back from a two week trip. Our car was about $300, someone next to me paid $1,200 asking for a similar car at the airport. YIKES! Also, use a comparison tool like kayak to compare all of the different rental agencies. Do online searches for coupon codes. Sign up with your favorite car rental company and join their loyalty schemes. Nearly all car rental companies have them and you get really good savings.